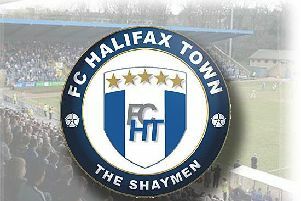 FC Halifax Town have made a double swoop for centre half Matty Brown and striker Andy Bishop. Brown, 25, is a former Chester FC captain who was not offered a deal at the end of an injury-hit 2014-15 season. The 6ft 4in defender began his career in the youth teams at Tranmere Rovers and Manchester City before plying his trade at Northwich Victoria and Marine. He signed for Chesterfield two years ago and whilst with the Spireites he had loan spells with Southport and Chester, who he then joined permanently. Six-footer Bishop, 32, is a former England C striker. He started his career at Walsall as a trainee and whilst with the Saddlers he had loans spells with Kidderminster Harriers, Rochdale and Yeovil Town. He joined York City in the summer of July 2004 and scored 22 goals for the Minstermen in the 2005-06 season. During his time with York he scored 33 times in 78 appearances. Bury signed Bishop in May 2006 and he scored 69 goals in 236 appearances in a seven year stay with the Shakers. He had a loan spell with Wrexham at the start of 2012/13 season and signed for the North Wales side on a permanent deal two summers ago. Brown and Bishop are Neil Aspin’s fifth and sixth confirmed signings of the close season following the arrivals of Josh MacDonald, Dan Maguire, Sam Walker and Elliott Whitehouse at the Conference club.